Known for its classic animated movies like The Lion King and world-famous entertainment complexes, Disney offers some of the best ways to bring the whole family together. 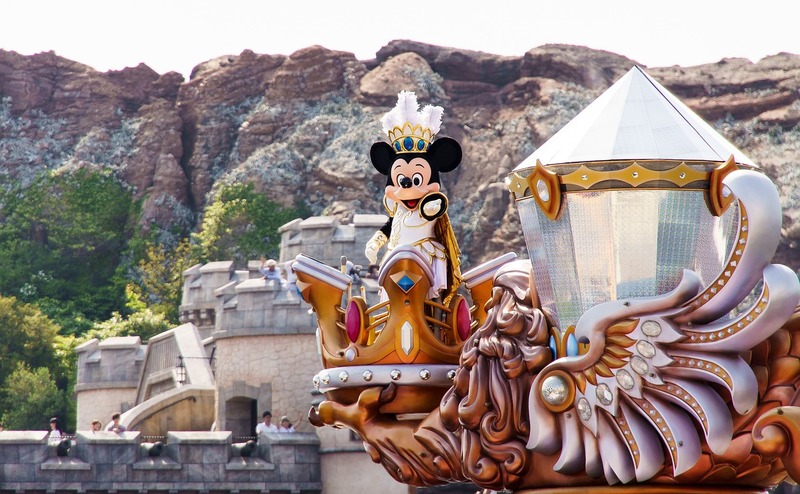 However, when accounting for the price of accommodations, food, tickets, and other expenses, going to Disney World or Disneyland can easily cost you thousands of dollars. This is why we’ve done some research and compiled a list of completely free Disney stuff for the whole family to enjoy. Below you will find a list of 10 Disney freebies and activities you can enjoy without spending a dime - whether you’re at home with the kids, or visiting one of Disney’s theme parks. The family section of the Disney website has tons of free crafts and recipe ideas that provide a great way for parents to bond with their kids and channel their creativity. You can bake Disney-themed cookies, recreate famous Disney characters and much more. In addition, there are free printables that include coloring pages, party accessories, board games, and other fun activities. While you’ll be hard pressed to find the newest Disney animated movies for free, there are several websites where you can watch older films free of charge. Some of the names on this list include timeless classics such as The Lion King, Aladdin, Pocahontas, Monsters, Inc. and Hercules - all great options for family viewing. If you’re looking for more interactive entertainment, Disney has a massive online library of free video games. These include games based on classic characters like Mickey Mouse, as well as Disney’s newer films and TV series like Descendants. With many different categories ranging from action to puzzle games, you’re sure to find something for the kids to enjoy. Thinking about visiting Disney World or Disneyland? Disney offers free planning videos that provide information for potential visitors of its two entertainment complexes. The videos include a complete tour of all the parks and hotels at the two locations, as well as tips for finding the right accommodations and information on special events. They are especially useful if you want to visit one of the resorts, but aren’t sure which one to choose. The videos can be watched online or ordered as a DVD. The famous Atlantic-style Boardwalk at Disney World is one of the most popular Disney venues that you can visit for free. Although you may decide to spend money on the shops and restaurants, there are many ways to enjoy your time free of charge. For starters, you could check out the free Ballyhoo guided tour. However, if you really want to find some free entertainment, visit the Boardwalk in the evening - there are street performers that do magic tricks, juggling, and other fun performances. You might also get a chance to see the 9:00pm fireworks from nearby EPCOT Park. Disney Springs, previously known as Downtown Disney, is a large entertainment area of Walt Disney World. Built around a scenic lake, the Springs offer a mix of restaurants, shops, and entertainment. Much like the Boardwalk, the area is free to enter and you can get away without spending a dime. Some free options here include: the interactive fountains; the Lego Imagination Center, a massive outdoor playing area filled with Lego blocks; and free live music at some of the bars. Disney World is famous for the nightly fireworks display at three of its four parks - Magic Kingdom, EPCOT and Hollywood Studios. And it just so happens that you don’t have to pay to get a good view of the most popular one - the fireworks show at Magic Kingdom Park. The fireworks can easily be viewed from one of the park’s resorts. Ideal observation spots include Disney’s Contemporary resort and the beaches of Bay Lake, at either the Grand Floridian or the Polynesian Village resorts. One of the well-kept secrets of Walt Disney World are the completely free, behind the scenes tours found at several resorts. Chief among these is the “Wonders of Wilderness Lodge”, which takes visitors through one of Disney World’s most popular resorts. This daily walking tour looks at the history and inspiration behind the Wilderness Lodge, known for its distinct national park themes and Native American art. Meanwhile, if you’re a fan of free food and African culture, the Animal Kingdom Lodge offers a daily culinary tour of its two restaurants - Jiko and Boma. In addition, there is a third culinary tour of another African theme restaurant - Sanaa. Yet another great way to take advantage of free resort exploration at Disney World is to visit the popular Animal Kingdom Lodge. While the lodge itself is quite interesting, the real gem here are the African animals that roam just outside the hotel. There are a number of great spots to view the animals - you can walk around the outside of the hotel, go out to the back, and also get a good view from some of the indoor hallways. Why pay for a zoo when you can go to one for free? One of the best ways to get around Disney World is to take the completely free, futuristic monorail that connects EPCOT Park, Magic Kingdom Park, and its nearby resorts. Better yet, you can also get a free boat ride - after all, Disney World is known for having lots of lakes that connect the different areas of the complex. You can cruise around Crescent Lake, take the boat that visits the Magic Kingdom resorts, and even take the free Sassagoula River Cruise, which takes you from Port Orleans to Disney Springs.